Devon Ingo has been promoted to Marketing Manager! Devon Ingo originally started with Oliver in May 2016. Devon was originally hired as the Executive Administrative Marketing Assistant. In this role, she has juggled marketing and executive administrative assistant responsibilities. Over the last year, she has taken on many responsibilities including revamping our marketing systems and processes, spearheading positive relationships with outside partners, creating and managing our marketing budgets, and collaborating with various team members on projects. These projects include literature updates, branding enhancements, promotions, tradeshow coordination and support, and analysis of our various markets. 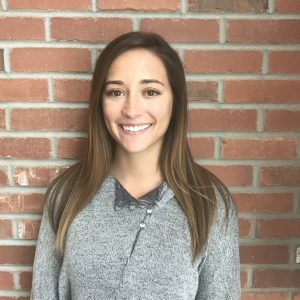 Devon has exemplified her devotion to Oliver Manufacturing through conducting creative marketing initiatives, enhancing Oliver’s brand awareness, and providing leadership in our marketing efforts. Based on Devon’s commitment to our customers, agents, and Oliver Manufacturing, she has been promoted to Marketing Manager. In her new role as Marketing Manager, she will be accepting new responsibilities. She will continue to provide leadership that fosters positive relationships with our customers through enhancing our marketing strategy, improving our marketing systems and processes, and supporting our agent partners and sales team in their efforts to successfully promote the Oliver brand. We look forward to how she will shape our marketing efforts, our relationships with customers and agents, and our organization going forward. Please take a moment to congratulate Devon on her success, promotion, and new responsibilities. Don’t hesitate to reach out to her directly if you have questions, ideas, or need marketing support.